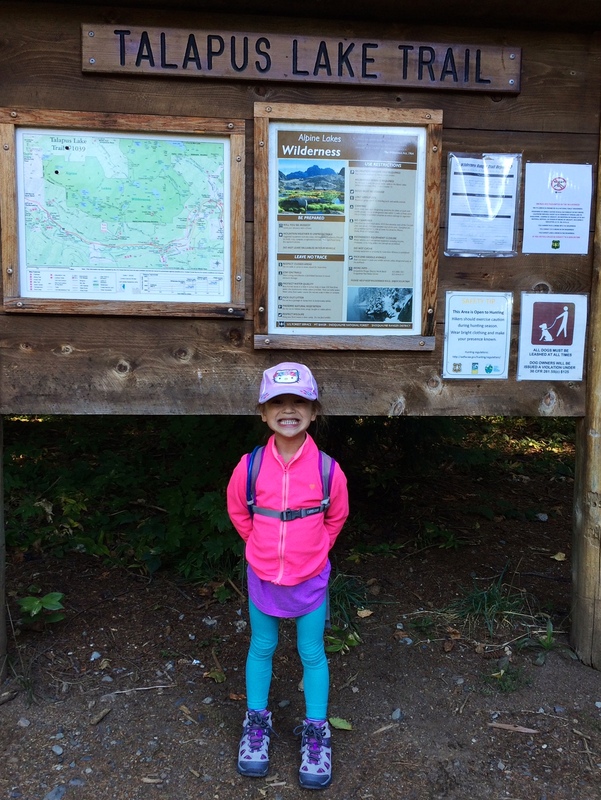 Today’s adventure with my Little Hiking Buddy took us to Talapus Lake in the Alpine Lakes Wilderness region of Mt. Baker-Snoqualmie National Forest. This trail was actually one we attempted in early April, but did not successfully complete due to our lack of preparedness for the existing snow. LHB and I had no idea what to expect at such an elevation, given that it was our first foray into this region. 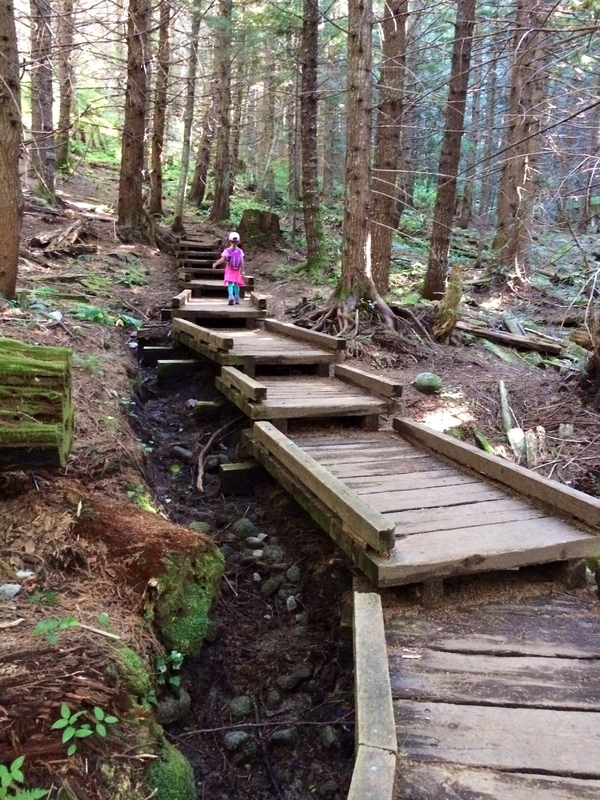 Nonetheless, Talapus Trail was what made us fall in love with hiking in the Cascades! This is where the love of the outdoors all started for me. After a long, windy and narrow drive up FS9030, we made it to the trailhead just after 9:30am. There were already four cars in the parking area, with two backpackers getting ready to head to Talapus Lake for the weekend. LHB and I quickly got our gear on and headed straight into the cool forest lined with tall trees along the wide trail. LHB was anxious to try her new pair of Hi-Tec Altitude Lite Waterproof Junior Hiking Boots – and they lived up to her excitement on this moderately-graded trail with lots of rocks and roots. After a few switchbacks and a steep upgrade, we took a quick snack break at a lovely viewpoint where Talapus Creek flows into the ravine. She was so enthralled by the bubbling sounds of the creek that I had to convince her there would be more water at the lake above. So, up we went and along the way we counted 25 spider webs, two squirrels, one chipmunk, one woodpecker, a handful of birds, 11 bridges and, thankfully, no snow. It was such a perfect day for this hike! LHB and I made it to Talapus Lake with such ease, as the trail was soft and quiet yet filled with incredibly interesting wonders to captivate a four year old’s imagination. The vibrant colors of fall were on display at Talapus Lake, making the backdrop the perfect view in which to unpack and enjoy our picnic. We were fortunate enough to meet a friendly hiker willing to share her space with us over lunch. LHB took to her immediately, while she quite enjoyed LHB’s animated personality – a fun time was had by all. We explored a little further around the lake before heading back down the trail to our car. It was a wonderful summer-ish day for this hike!